One of the most perfect food pairings is shrimp and cocktail sauce. Although easy enough to buy off of the shelf, making your own cocktail sauce allows you to customize it, adjusting the level of spice and kick from the horseradish (if you're not a fan of horseradish, you can leave it out). Turn up the heat with some Tabasco or Texas Pete, or add your own favorite hot sauce. Serve this classic seafood cocktail sauce with boiled chilled shrimp or another kind of shellfish. It also makes a great dip or sauce for fried shrimp, scallops, or fish. Combine the chili sauce and ketchup in a bowl. Add the lemon juice, horseradish, Worcestershire sauce, and hot sauce. Taste and add salt and freshly ground black pepper, as needed. Blend well. Serve this cocktail sauce with shrimp, oysters, and other shellfish, or serve it with fried shellfish or fish. The chili sauce in this recipe isn't the Asian chili paste, it is a tangy ketchup-type of sauce found near the ketchup in the supermarket. If you can't find chili sauce, the cocktail sauce may be made with all ketchup. 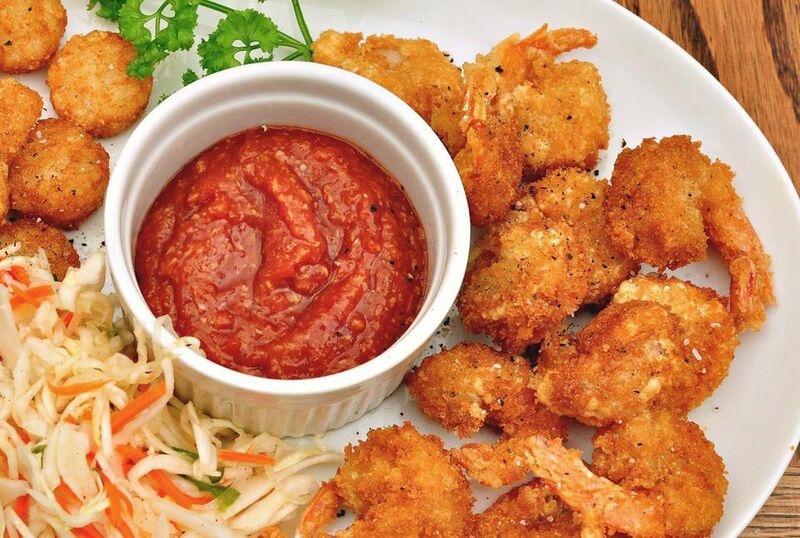 A delicious homemade cocktail sauce is the perfect partner for not only shrimp cocktail but also raw shellfish, crab legs, fried calamari, and fried fish. Party guests are always pleased when a tray of shrimp cocktail appears, but when a homemade tray comes out of the kitchen, you can bet it will become empty very quickly. It tastes better than store-bought, with a more appealing texture. To make it yourself, peel and devein 2 to 3 dozen medium to large shrimp, or about 1 1/2 pounds, leaving the tails on. Bring a large saucepan of water (about 3 quarts) to a boil over high heat and add 1 cut-up lemon. Add the shrimp and boil for about 3 minutes, or until opaque and pink. Transfer to a colander and run cold water over the shrimp to cool them quickly; drain well. Transfer the shrimp to a bowl. Cover and refrigerate until thoroughly chilled. Serve with the homemade cocktail sauce.